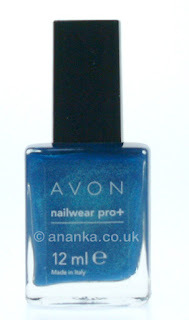 This is one of the fairly recent Avon polishes, ordered it a few weeks back. Hmmmm it's good. 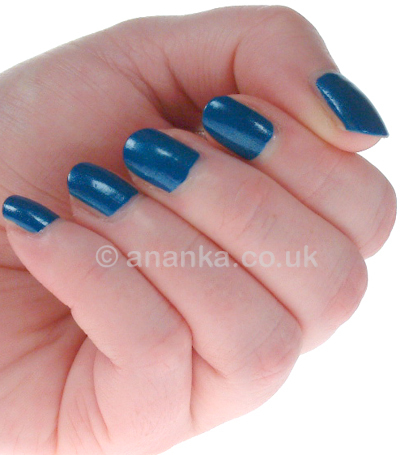 This is easy to use, easy to apply and fairly quick drying. 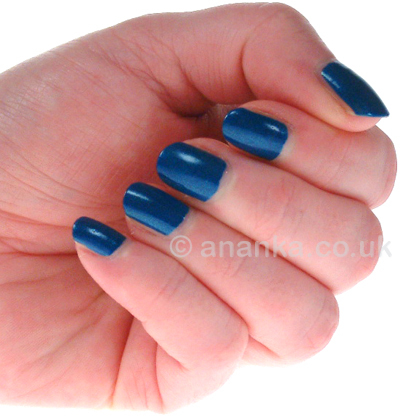 It's a gorgeous blue colour with a turquoise shimmer. Lovely! It's prone to scuffing but didn't chip. My Personal Rating = 8/10 love it! The color really reminds me of the flowers I love. Beautiful.